Players choose their lucky horse with their order number to bet. 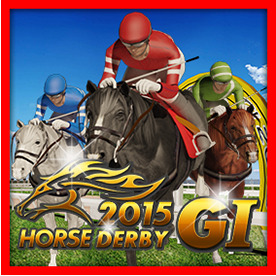 Each race players will bet with two or more lucky horse that you like. Each pair of horses will have corresponding winning percentage that automatically change with each gamble. Jackpot： Total bet x100 for winner. Free number:Extra 1 number for winner. Joker: Subtitutes for all symbols, except Jackpot, Multiplier and Free number. Multiplier: Multiplier x3,x5,x7 for winner.